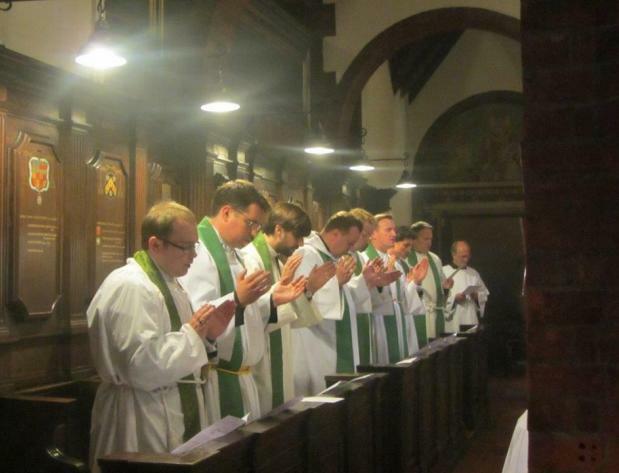 On Sunday 19th October, a group of over thirty clergy from across the Church of England and some from the Church of Sweden, descended on Walsingham for what has become an annual three-day event. It is billed as an ‘Additional IME’, to supplement, from a Catholic perspective, what each Diocese puts on for its own curates in the way of training during Initial Ministerial Education Years 4-7. However, its benefits go far beyond education: it is a great opportunity for those who share a common understanding of Christian priesthood to come together not only to study and learn, but to relax and share in one another’s company, both socially and sacramentally, which is ever so important as we move forward in faith through the challenges presented to the Church of today. The theme of this year’s conference was ‘The Priest as an Agent of Generosity’, which took as its strapline ‘Be generous as your Father in heaven is generous’. Five sessions, scattered throughout the three days, drew on examples from the wider Church, from our own Tractarian history, from the pastoral experience of participants and leaders, and from Holy Scripture, in encouraging us to be generous in our various ministries, as God himself has been and continues to be generous with each of us. The conferences are organised by the Vocations Group, led by the Bishop of Richborough, and generously sponsored by Catholic societies, for which the participants are extremely grateful. The Group plans to run a cycle of themes, so that curates are able to attend sessions on each theme during the course of their curacy. 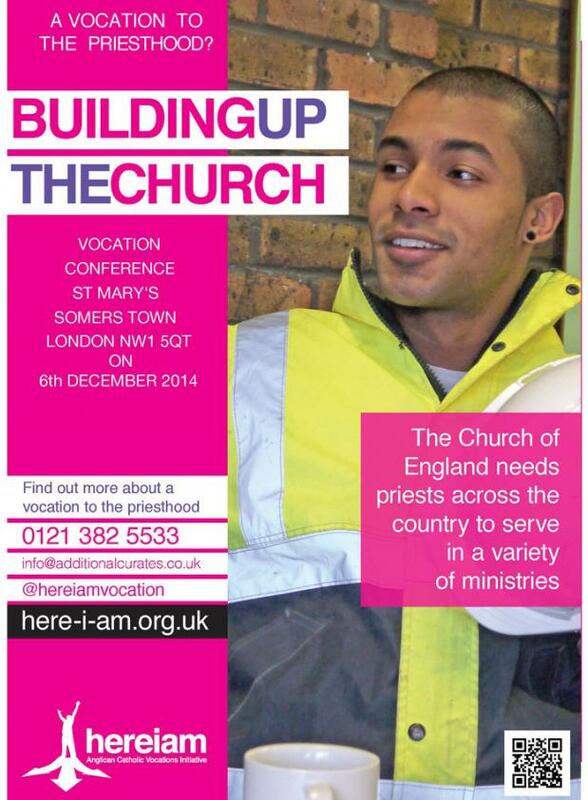 Please continue to pray for the Vocations Group in its important work in fostering and nurturing vocations within the Catholic tradition of the Church of England; and keep praying for Priests – for those ordained, and those discerning, that God may continue to raise up faithful and generous pastors for his Church. 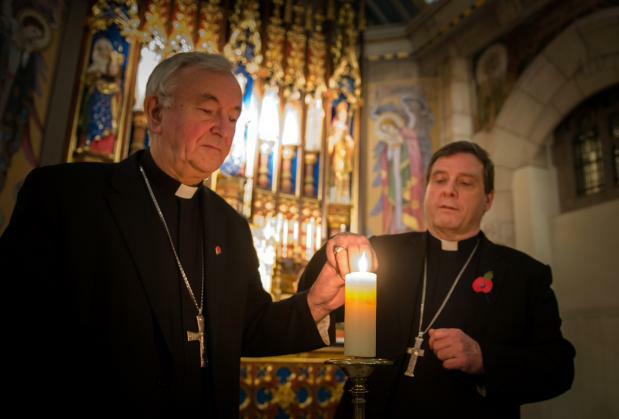 Bishop Tony Robinson, a Bishop of the Society and Cardinal Vincent Nichols, president of the Catholic Bishops' Conference of England and Wales, lit candles and prayed in St Anne's Cathedral in Leeds for the couple and their unborn daughter who were burned to death in Pakistan last week. The Bishops' prayer for peace and the repose of the souls of Sajjeed Mashah, 27, and his wife Shama Bibi, 24, followed Ecumenical Vespers, celebrating the 50th anniversary of the second Vatican Council's groundbreaking Ecumenical decree Unitatis Redintegratio. Bishop Tony, Chair of the Archbishop of Canterbury’s Pakistan Focus Group and who was in Pakistan in March, said: "The savage attack and murder of these two Christians and their unborn child is unacceptable in any civilised society. Cardinal Nichols said: "This is a horrific and tragic event which sullies the reputation of a great nation. Surely all people of true religious spirit will, in response, turn to God in prayer, seeking forgiveness for the violence and destruction of life, pleading for peace in our troubled world. In March this year Bishop Tony visited Pakistan where he met the country's president Mamnoon Hussain to discuss the persecution of minorities. 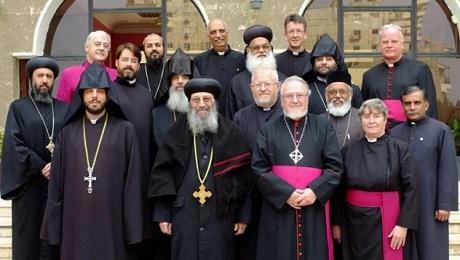 Senior theologians in Anglican Communion and Oriental Orthodox Churches recently made history by signing an agreement on their mutual understanding of Christ's incarnation. Anglican Catholics have always been concerned to build bridges with the ancient churches of the East and West. 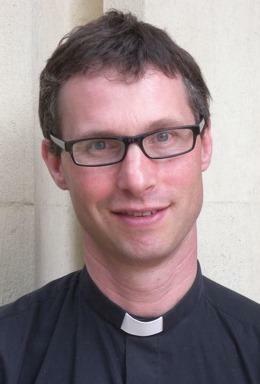 The Right Revd Geoffrey Rowell, a bishop of The Society, has had a long standing interest in and experience of the Eastern Churches, both Byzantine and the Oriental Orthodox, which led to his appointment as Anglican Co-Chair of the formal Ecumenical Dialogue set up by the 1998 Lambeth Conference. This Christological Agreement builds on earlier Agreements between the Byzantine Orthodox and the Oriental Orthodox, joint statements by the Pope and heads of the Oriental Orthodox churches visiting Rome, and the Driebergen Agreement between the Reformed and the Oriental Orthodox.’ The text of the Agreement was presented to Pope Tawadros II, who received the Commission following his weekly Bible Study in his Cathedral, and to Archbishop Justin Welby in the context of the Ecumenical Bishops’ meeting.